Indiana places great value on our relationship with the local communities in which we operate and ensuring that benefits flow to these communities from our operations. We continue to be committed to developing and maintaining strong relations with local communities and supporting local businesses. 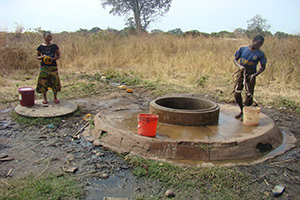 Ngwena Limited, a subsidiary of Indiana, funds the repair of six non-functioning hand pump water wells in the Lionja A village located 9km south-west of the Ntaka Hill Camp. The project was identified following engagement with the Lionja community and aims to eliminate water shortage in the Lionja A village community, which has an estimated population of over 3,400. The project has broader community development outcomes, as the provision of safe and clean drinking water to the community reduces long walking distances for water and allows more time for other daily activities. The project was completed in March 2014 and is being sustained through the provision of monthly services to maintain the pumps. This project builds on the strong existing relationship between Ngwena and the Lionja A village, as well as facilitating partnership funding between Ngwena and the Nachingwea district council in delivering this project. The building serves as a meeting point where the Ward Council, which serves over 8,500 members, and the local community discuss ward development matters. It is also a meeting point for local community events such as the Freedom Torch Rally and serves as the safety and security point for local communities. 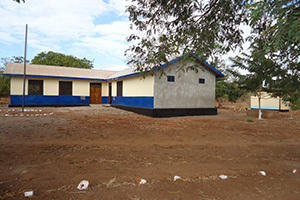 Construction of this office enables the Ward Council to provide a more effective administration service to the local community and other stakeholders. This building will also be used by the Ward Agricultural Officer, Ward Education Officer, Ward Councillor, and security department. The Nachingwea district has faced ongoing issues with female participation in the education system beyond the primary school level, with very few continuing to higher education. Between 2005 and 2011, just 11 females within the district joined high schools. 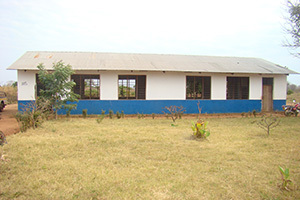 The Nachingwea District Council prioritized the construction of a Special Girls Secondary School to provide support for female students in the district, to enhance their education opportunities in a supportive learning environment. To support the Nachingwea District Council’s efforts, Ngwena funded the construction of two classrooms in the Nachingwea town which will be completed later this year. The project will help to build the education level of females in the district and increase the opportunities for local females to be employed as part of Ngwena’s operations in the years ahead. Ngwena funded construction of a dormitory building for female students at the Nditi Secondary School,to provide a safe living environment while females are studying at the school. The project, which is located approximately 4km east of Ntaka Hill, accommodates 48 female students. The project was carried out through a joint partnership with Nditi Ward Council and the Nachingwea District Education Committee. The dormitory will be maintained by the Nditi community, ensuring sustainability beyond the initial Indiana support. Ngwena has consistently supported community and recreation events among local communities and at the district level. These events include sponsoring the Freedom Torch Rally in the Nachingwea Project area which is conducted annually, donations of sports uniforms to Nditi secondary school students and support for the Nachingwea district council by providing funding for the Nane Nane Farmers Exhibition Shows which take place in August each year. Ngwena has been sponsoring the Mnero hospital through donations of medications for treatment and training. 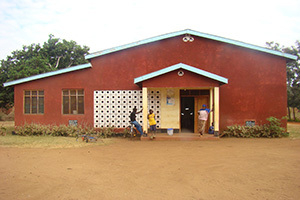 The Mnero hospital serves the Nachingwea district which has a high snake population and ten nurses were trained in the administration of snake anti-venom. The Nditi dispensary has also been supported through the provision of solar panels for lighting to assist the medical practitioner at night time and the provision of building materials for its construction. Ngwena extended its support to the Nachingwea District police through provision of vehicle tyres and other parts to support their daily performance. Transparency is managed in part through local consultation and engagement in all aspects of Ngwena’s activities. Meetings are held with local communities and local government officials to ensure they are fully informed of the Company’s activities in the region. 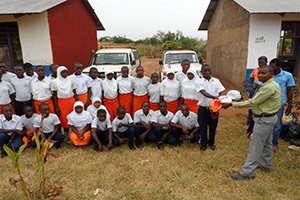 Local communities, local leaders and local government officials also visit the camp for learning purposes, where they are educated on exploration. The CSRE awards were launched in 2012 to acknowledge companies which show outstanding performance in corporate social responsibility. In 2013, Ngwena received awards in four categories: Procurement Programs for the Communities, Empowerment Programs for the Communities, Health Programs for the Communities and Education Programs for the Communities.